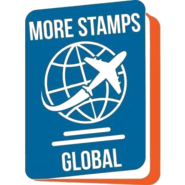 MoreStampsGlobal is a crypto-enthusiast and specialized in planning the perfect vacation customized to your interests. We create some unique itineraries related to tour and travel including booking of Hotels, Flights etcs online through our website. We believe in the cheaper travel and booking deals for everyone! Page created in 0.277 seconds with 34 queries.